When it comes to exterior finishing quality is more than skin deep. Real value comes from choosing materials and suppliers who perform over the long term. 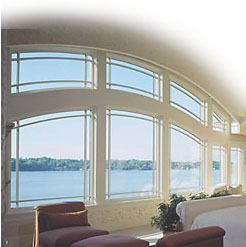 There are many different manufacturers and models of windows, doors and siding available today. Meer has carefully researched and selected suppliers who we feel represent the best quality, performance and reliability - both in their products and their policies. Please explore our website. We have supplied links to our suppliers so that you can explore the wide variety of options available. After you have examined this information please contact us to discuss your needs and answer your questions. Meer Siding, Windows and Doors is committed to providing the best quality and service available so your home or cottage is a comfortable space to live, a source of pride and a great investment. Whether you "do-it-yourself" or rely on our trained professionals, Meer's is your one stop for quality siding, windows and doors. 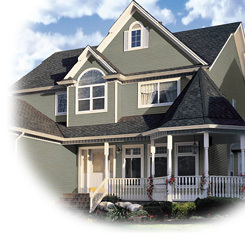 Meer Siding, Windows and Doors can help you complete any project, no matter how big, how small or how complex. We bring the same committment to customer satisfaction to every job.